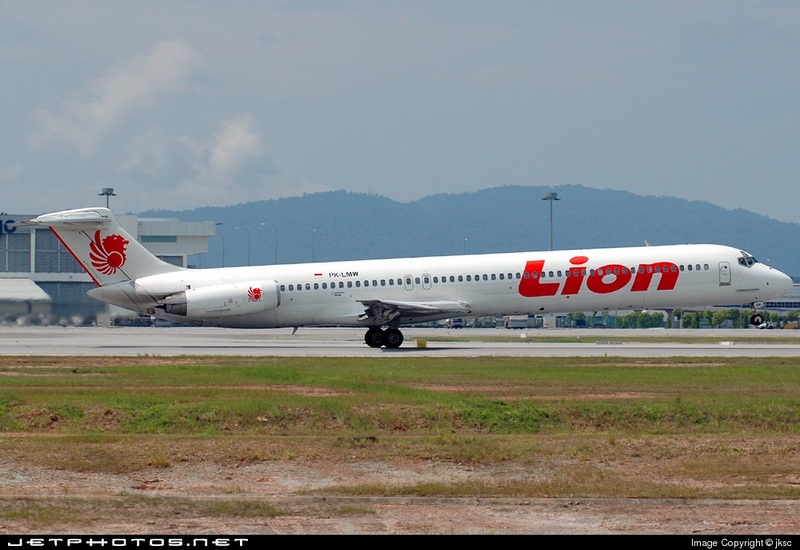 Prior to departure from Bali to Surabaya, crew was informed that left engine thrust reverser was out of service. After an uneventful flight, crew completed a normal approach to runway 10 and landed according to procedures. 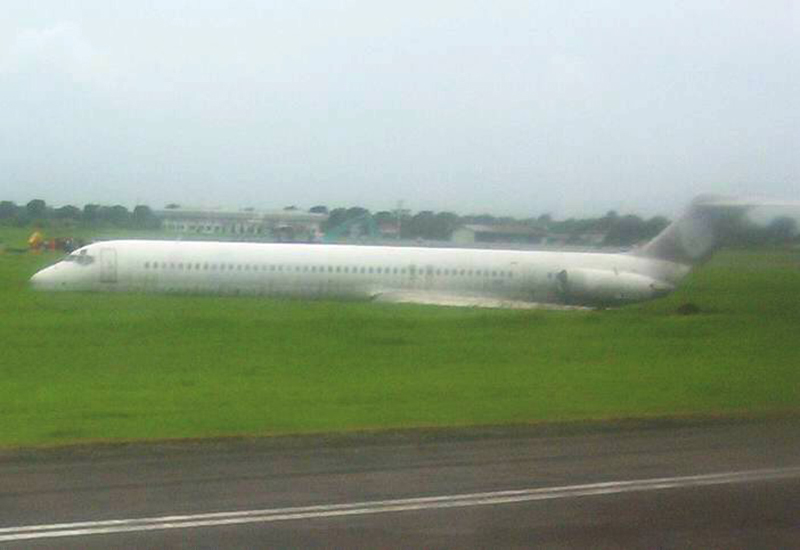 After landing, crew applied thrust reverser when plane veered to the right. 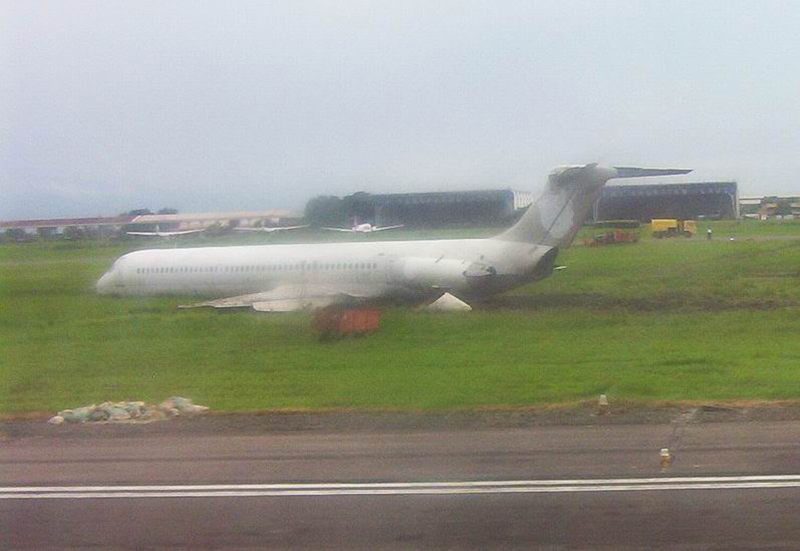 Pilot tried to counteract but aircraft went off runway, lost its undercarriage and came to rest in a grassy area. While all 144 occupants were evacuated, aircraft was considered as damaged beyond repair.